Very precise speaker placement can open up a whole new dimension in listening, so I will outline the system that is becoming the standard of the industry. This standardized listening room is a Golden Cuboid and is the model for the math used in this system. This method will work with any box speaker, in any reasonably sized rectangular room. 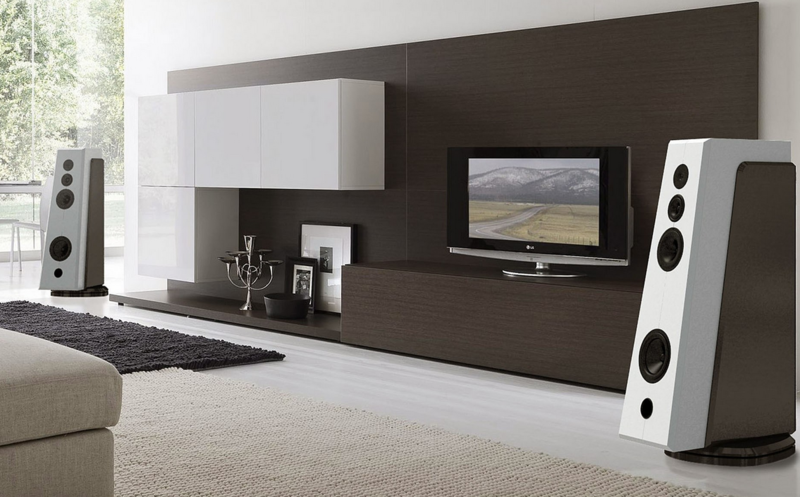 You may find that you have already positioned your speakers this way by ear. Active nodes are the main concern when placing speakers in a rectangular room. A node, or the frequency where speakers and parallel walls interact, is proportional to the speaker to the wall distance. A secondary factor is the speaker-to-speaker time constant. 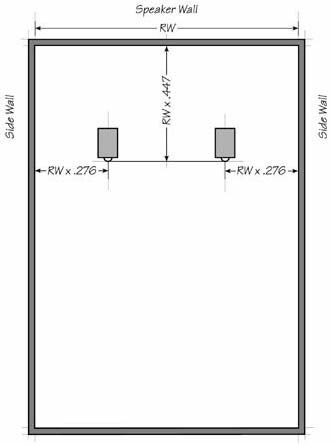 Panel or dipole speakers such as Apogees and Magnepans cancel their side waves, so a formula of 0.618 x the ceiling height can be used for determining placement from the rear wall. Most box speakers radiate low frequencies in all directions thus a formula that places the speaker to rear wall distance at 1.618 the side wall distance should be used. You may use any unit of measure (feet, inches, meters, centimeters) but all measurements must be numbers only and use the same unit of measure.